Use your imagination and don’t be afraid to cut. That’s my advice for Lutheran musicians looking to incorporate contemporary worship songs into traditional liturgies. Because these kinds of songs are generally composed for different worship structures, congregations used to more traditional worship and strophic hymns (i.e., songs in which all verses are sung to the same music) may need help adjusting to their unfamiliar formats. Try them anyway. Many of these songs resonate as heartfelt corporate worship and (as catchy earworms) catalysts for private meditation during the week. They also provide gateways into musical leadership for parishioners who play instruments or who can’t attend regular choir rehearsals. Holy Week is an ideal time to try out new songs. The liturgies’ unusual shapes make them ripe for experimentation. What follows are some practical ideas for introducing new worship music into your tradition. Israel Houghton’s recording of “Hosanna (Be Lifted Higher)” builds from a solo line to full-on praise cacophony. That’s difficult to accomplish without an electric band, but the song’s insistent refrain would make a good opening to Palm/Passion Sunday. Try leading it in a key closely related to “All Glory, Laud, and Honor” while people process to their pews, then segue into the more familiar hymn. The first half of Saturday’s Easter Vigil takes place in near-darkness, so musical responses should be familiar or quickly learned. For the “Canticle of the Three Young Men,” teach the chorus of Matt Redman’s “10,000 Reasons (Bless the Lord).” After everyone sings it a couple times, play soft chords while the congregation reads the canticle’s verses responsively. Return to the chorus once or twice during the reading. Entrust the congregation with choruses. Like some songs by well-known Lutheran composers David Haas and Marty Haugen, contemporary worship verses aren’t always suited to corporate singing. Have vocal leaders—a choir or soloists—teach a song’s chorus to the assembly, which can then listen and reflect during the verses. This format works well amid the Vigil’s darkness. You might try Chris Tomlin’s “Forever” as a response to the creation story, or Amy Sandstrom-Shroyer’s “Trust in the Lord” after the Abraham and Isaac reading. Holy Week is an ideal time to try out new songs. The liturgies’ unusual shapes make them ripe for experimentation. Give people more than one opportunity to learn songs by introducing them during Sunday morning worship. Many of the more solemn Thursday and Friday songs are musically straightforward, so just a couple tries ought to do it. Brenton Brown’s “Humble King” could help connect the fifth Sunday in Lent with your Thursday foot-washing ceremony. Brooke Fraser’s “Lead Me to the Cross” works throughout Lent, and could also open Friday’s service. Paul Baloche’s “Above All” is, in my opinion, simply a perfect hymn and can be sung often. The team of Keith and Kristyn Getty and Stuart Townend writes strophic hymns that cross denominational boundaries. Their “Behold the Lamb” fits Thursday’s eucharist well and needs minimal introduction. The ubiquitous Chris Tomlin has a habit of setting new refrains to old hymns, creating mash-ups with cross-generational appeal. Try “The Wonderful Cross,” an adaptation of the tune “Hamburg,” to close Passion Sunday or during the Triduum. Kari Jobe’s “Savior’s Here” is one of my favorite Easter songs. It’s an expression of unbridled resurrection joy: a triumphant chorus, a bridge full of “hallelujah”s and a thrilling crescendo during the coda. But how do you make that a congregational hymn? Through division of labor. Leaders handle the verses and teach the chorus to the congregation. During that “hallelujah” bridge, the leaders and the people call and respond, with one leader raising a welcoming arm whenever it’s the people’s turn to sing. Phrase by phrase, the coda also works as a call-and-response. I generally cut the last nine measures and instead lead everyone in singing two final choruses. What is Easter, if not overstuffed with joy? Nearly as exciting is Geron Davis’ gospel-inspired, “hallelujah”-heavy, perpetually modulating “We Sing Worthy.” It requires less adapting; leaders simply introduce each new verse, and the assembly repeats it back. … or just plain old choir anthems. But don’t delay: I can testify that if you want to adapt Kirk Franklin’s “Hosanna” for your Easter morning choir—which you should do, they can handle it—you’ll wish you had started yesterday. Sheet music for these songs is available through a subscription to CCLI’s SongSelect. Most are also available à la carte at praisecharts.com, which provides full piano transcriptions in addition to standard lead sheets. Parishes need a CCLI license to project songs or include them in bulletins. 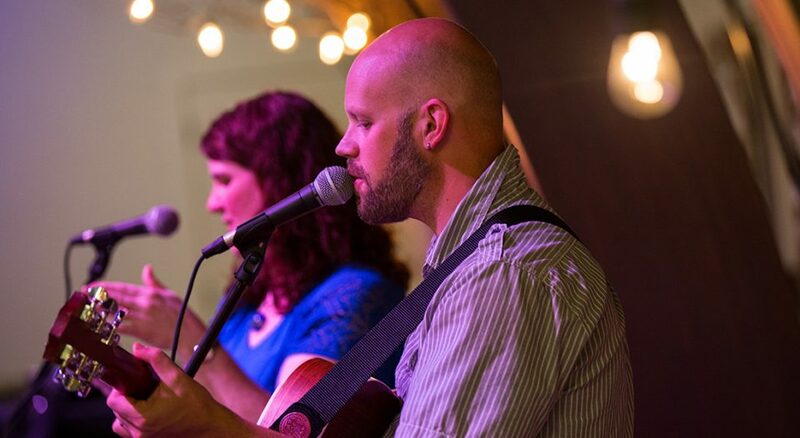 Josh Langhoff is a church musician and freelance writer in the Chicago area.